The Lord Himself visited us in the W3 Conference held on Saturday, 28th July 2018 at Fine Arts Auditorium, Chembur, Mumbai. 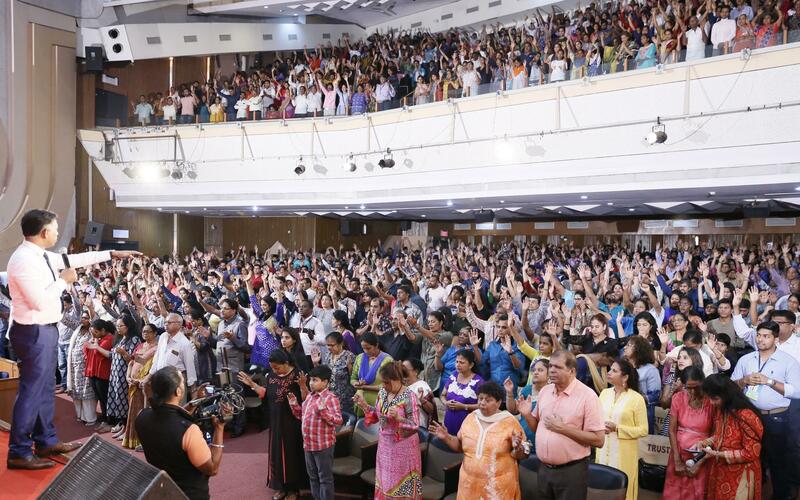 Pastor Sunny Vishwas (Pune) led people into Praise and Worship and the Presence of God filled the auditorium. Pastor Michael then ministered to the people under a strong anointing. Every day at Karuna Sadan we receive hundreds of prayer requests on the Noah App. There are some prayer warriors that go out of the way to pray for others. Those who attended the service witnessed God’s life-changing and miracle-working power like never before. Next W3 Conference: Friday, 24th August 2018. Praneet Calvin & Band will lead praise and worship.